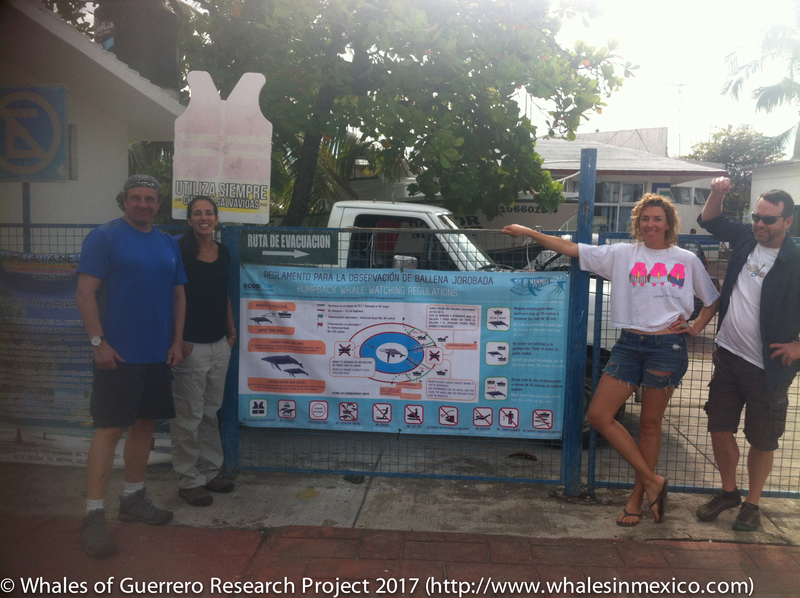 We have offered safe whale watch training programs to all who work on the sea since our first research season in 2014. 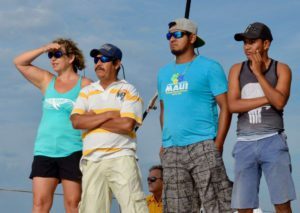 In addition to our two-day safe whale and dolphin watching training program, we welcome all professional seafarers to spend time on our boat with our team and are happy to send one of our whale watch experts out to share their knowledge about safe whale watching. We post our safe whale watch banners during whale watch season in every port and point of departure in our region. 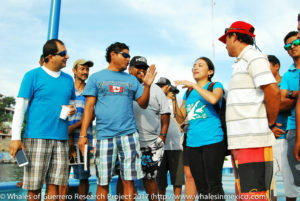 The trained guides who participate in our programs become the local experts in whale and dolphin ecotourism. We are proud to post their contact information on our website and to encourage all visitors to the region to go whale and dolphin watching with them. 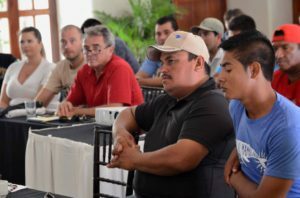 During the two-day training program, the guides in training receive an in depth training on humpback whale and dolphin behavior, biology, and best practices for safe boat maneuvering around them. 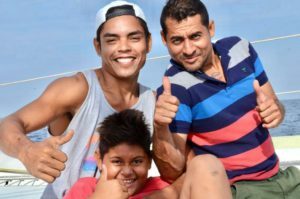 The result is relaxed, friendly whales and dolphins which give guests a memorable experience and keep the animals and the humans safe. 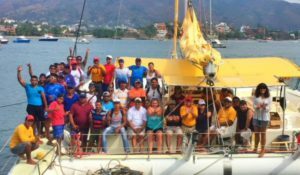 The guides who have participated in our program so far form the core group of proud conservationists who have demonstrated a commitment to supporting long-term marine environment health. 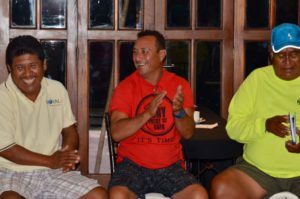 Not only are they leaders in whale and dolphin watching – they are community leaders who will pave the way for a healthier ocean in our region. 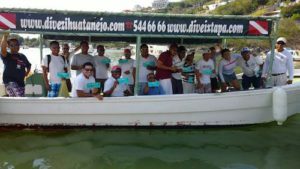 We plan on offering a two-day whale and dolphin watch training program in Barra de Potosí and another one in Zihuatanejo in winter 2018. Contact us if you are interested in participating in our program. 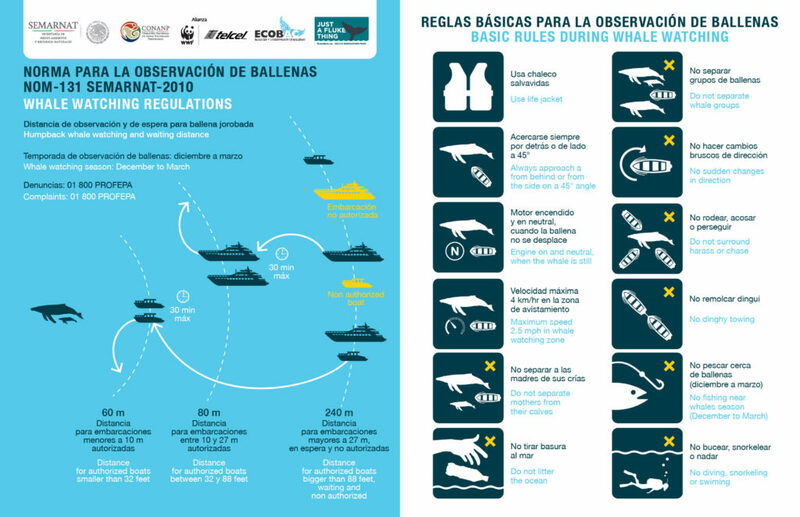 We have also created a variety of visual material that trained guides and whale enthusiasts can use to know our marine wildlife better. 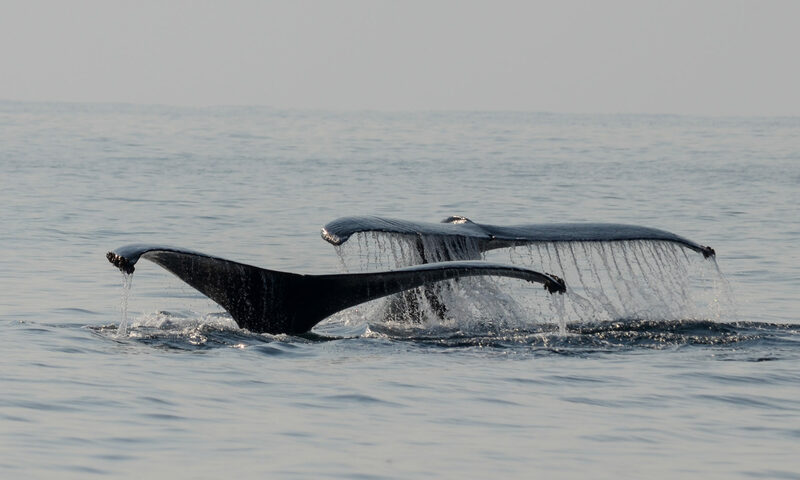 These include field guides to marine mammals in our region, a poster of all of our whale tails to date, informational guides about humpback whales in the area and waterproof handouts and stickers displaying legal whale watch regulations for guides to use on their boats. 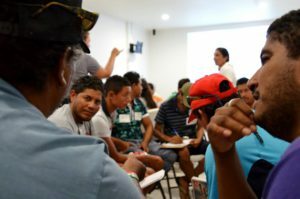 You can purchase any of these resources in our online stores or contact us if you are in Mexico or the US to find out where you can purchase these educational materials in person. The most commonly seen dolphins in Guerrero, as shown in our field guide. 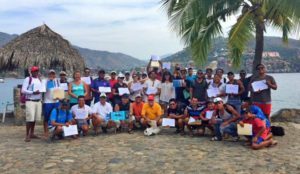 The Safe Whale Watch Guide Training Program in January 2018 was a big success with 40 participants! We are having a second one designed for tourism professionals in February 2018.